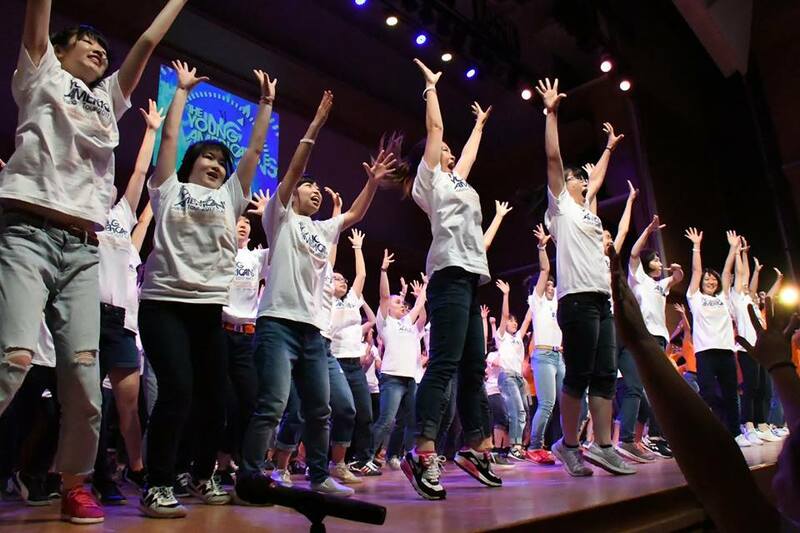 From August 14 to August 17, 2017, Step 1 of the TOMODACHI High School Women Career Mentoring Program in Fukushima 2017, supported by the TOMODACHI Combini Fund, entitled “Dance Workshop with The Young Americans,” took place in Tokyo. 125 female high school juniors from Fukushima prefecture were selected to participate in this career mentoring program consisting of four sessions or “steps.” Over the course of the program, the students interact with and learn from female mentors of various backgrounds, nationalities, and careers. The goal of the program is for students to develop leadership skills to broaden their perspectives and gain the confidence to open doors and opportunities for their futures. Throughout the program, participants are divided into 6 – 7 groups consisting of students from different regions and schools. 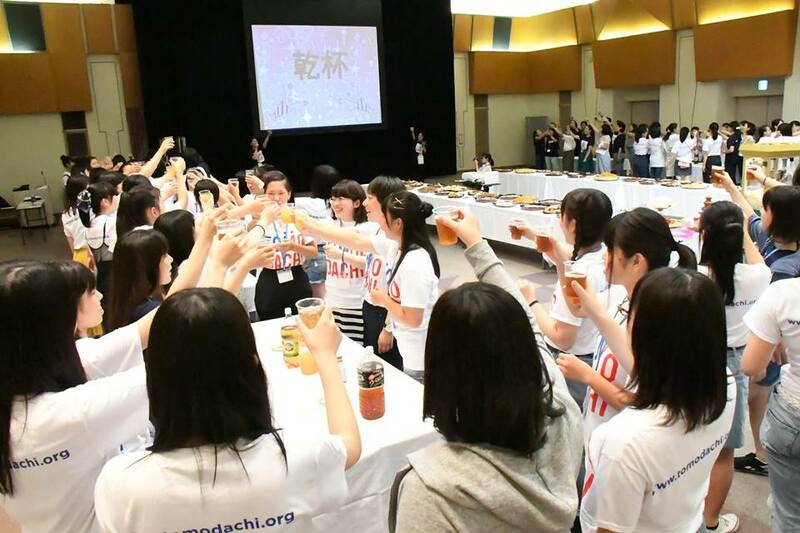 20 TOMODACHI alumni, who are university/technical school students, are also selected from Fukushima, Miyagi, and Iwate prefectures to support each of the groups as mentors. In addition, four college students from the three Tohoku prefectures plan and organize this program as project assistants. The first day of Step 1 consisted of an opening session, followed by a team building exercise in which the participants used question cards and played games to break the ice and to get acquainted with each other. During the opening session, the participants received words of encouragement from representatives of FamilyMart Co., Ltd. and Lawson, Inc., the corporate sponsors of the program. On the second day, the participants wrote on pieces of paper how they envision themselves now and how they want to grow in the next six months of the program. They then folded the notes into paper airplanes and flew them in the clear sky. Finally, The Young Americans (YA), an American non-profit organization dedicated to music education, launched their workshop in the afternoon. In just two days, the participants learned 20 dances and memorized a one-hour dance routine to perform on the third day of the program. With support from the mentors, project assistants, and The Young Americans cast members, the participants learned English songs and dances. 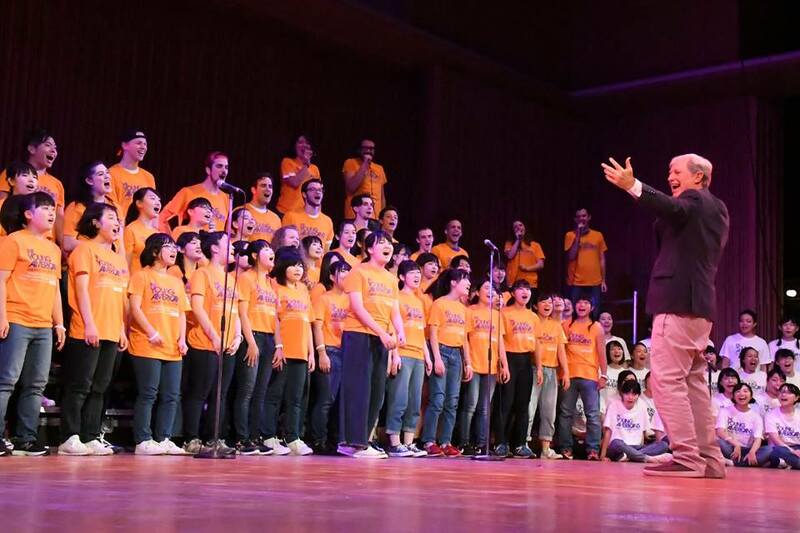 The participants encouraged each other, even occasionally practicing during breaks, saying that they will give the best performance possible. In the session following the workshop, the students expressed their feelings and the changes they experienced through drawing. Their comments included, “My anxiety turned into relief;” “I am still growing;” “Step up;” “I realized the importance of individuality;” and “Cheerful smile.” It was a fruitful session in which the students realized their ability to accept their differences and strengths, and felt the trust strengthen within each team. During the show, every participant performed with vibrant energy and expression. When the students were not performing, they supported their teammates from the sidelines. The performances were impressive and touching. In the four days that composed Step 1 of the program, the participants learned the importance of creating something with a group, opening themselves up to new challenges, and trusting teammates. This experience will prepare the participants for the rest of the program. Step 2: Session with Foreign Exchange Students Studying in Japan will take place from October 28 – 29, 2017. The theme is “Challenge.” Participants will talk with foreign exchange students of different nationalities about the reasons why chose to study in Japan, their future dreams, and their struggles. Through the discussions, the participants will determine their challenges, develop goals, and define how to meet them.